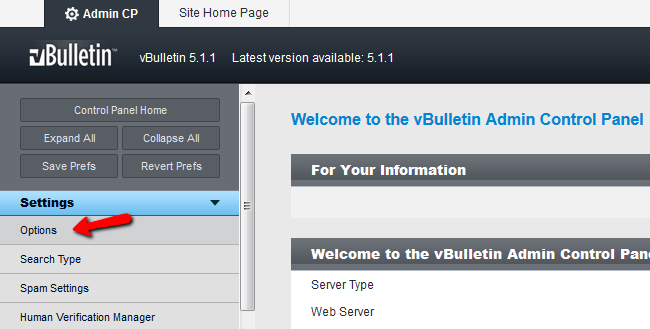 This tutorial will review the process of enabling SMTP for the mail service of your vBulletin forum. This will ensure properly delivered emails from your website to users, using a specific email account. Our SSD vBulletin Hosting packages allow you to create unlimited email accounts. Have a look at our tutorial on how to manage email accounts in cPanel. To create a new email account, you need to log into cPanel and then locate the Mail section. Click on the Email Accounts button there. When you are ready, simply click on the Create Account button and the system will create it automatically for you. 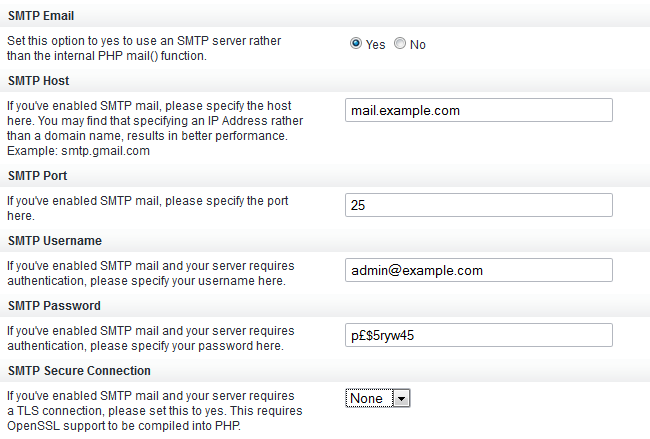 To set SMTP for the mail service of your website, you need to access the admin area of your website first. Navigate to the Settings tab on the main menu and then Options. 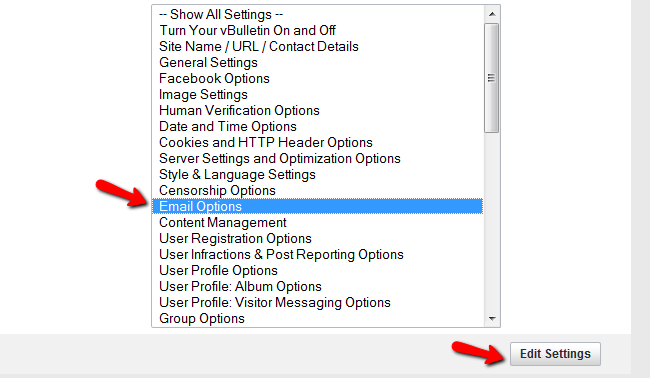 Select the Email Options field and click on the Edit Settings button to configure the mail service. When you enter the details for your email account, simply click on the Save button to keep the changes. Congratulations! You can now use SMTP for your mail exchange.